The emphasis on choosing the right sport as your career cannot be highlighted better than the fairness cream ad that currently runs on TV. In that ad, a female cyclist dreams of buying a house for her family after she wins a race. However, she is then reminded of the reality by her younger brother - cycling is not a money spinning sport in the country; she should choose some other sport if she wants to turn her dream into a reality. Afterwards, she uses a fairness cream, wins a race (it's not clear whether her success is due to the application of that cream) and then because of her great looks (read 'fair' looks) ends up as the model/brand ambassador of some company where she ultimately earns a lot of money. Now that route to success is a rather tortuous one and to ensure that the plight of choosing the wrong sport as your career doesn't destroy your life, yours truly has come up with the ultimate solution - golf! Class: Playing football and cricket in this country demotes you to the class of Mofizes playing the two sports in lungis and vests all over the country. 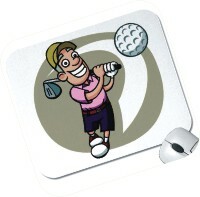 You deserve to be in a league of the elites and only golf can do justice to you in that regard. Instead of picking the ball from the back of your own net (football) or some remote place in a large ground (cricket), let your caddy do all the work, while you play golf. Less competition: How many people actually know there is a game called golf in Bangladesh? And how many competitors would you have? 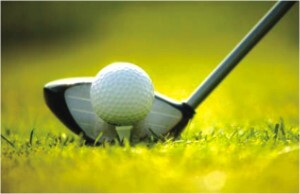 A paltry number of competitors is as favourable a situation as slotting a ball into an open net is in football and if you are the ultimate opportunist you should opt for golf. Almost everyone knows how to kick a ball or hit a ball with a bat and that makes football and cricket two of the most overpopulated sports in the country. And provided you can play reasonably well, you are bound to attract sponsors because golf cannot be played without support of sponsors. Effort: Cricket in particular is a labour intensive sport and if you are prepared to toil for five days under the scorching sun, you can also probably work part time at Kamalapur Rail station and earn a decent living. Football is not far behind because playing for 90 minutes is tantamount to running several kilometres and there's plenty of risks involved ranging from fairly innocuous head butts to career threatening fouls that can even cripple you in the long run. There is no need for you to work so hard or take so many risks when you can earn a living by slotting a ball into 18 holes using sophisticated clubs. Money: So how much money do you get after you dazzle with both bat and ball for five consecutive days in sultry conditions- a mere 500 dollars and mediocre remuneration every month if you are lucky enough to get a central contract. That's what international cricket can give you and there is no guarantee that you will ever play in the IPL because you are a Bangladeshi player. You can earn some money in football but remember it is unlikely you will ever play outside Bangladesh and thus the chances of you pocketing large sums of money are remote. That's where golf is so different, even a 26th position in an international competition can provide you with 18 lakh taka - and that is a lot of money! Not to mention that there a plenty of competitions to keep your pockets loaded throughout the year. The topic for the last issue of BetaWriters was The Rat Race. A lot of the entries we got hit far off the mark, while others lost steam about halfway. This one though, was pretty good. This week, we give you Lost in Space. Sci-fi fiction is different, thus we want difference from you guys. Entries must be written within 600 words and sent in before noon Sunday to ds.risingstars@gmail.com . "RRRRIIING RRRRING!” That's my usual wake-up call, instead of waking up to the melodious ballads of the birds. It is 6 o'clock in the morning and I find myself hurriedly rushing to the bathroom to get my toothbrush. I come out with the brush in my mouth and enter the kitchen to make my breakfast. A bowl and a spoon is all I grab along my way to the fridge. I take the milk out and let it drown all the cereal in the bowl. I visit the bathroom again to wash my mouth and change. I have cereal and glance at the headlines on the newspaper (at least I know something of what's going on around me). I check myself out in the mirror to confirm my attire. A faded kameez, torn at the hem. Greasy, black hair tied in a ponytail. A pair of flats, and a handbag with all my necessities. I wear my round black glasses to complete the look. Not exactly the sensual assistant one would hire, but I prove to be efficient with my sharp mind or so I like to think. I leave my small apartment at 6:30 to catch the bus as early as possible. But before that I have to walk half a kilometer to the main road. I don't mind taking a morning walk as long as I don't get mugged. I gnaw my way through the mob to get to the bus. Luckily I am a fraction of a second early so I get the seat and don't have to stand through my entire bus ride. I reach the office at 7 o'clock; pretty early for my part. I grab a cup of coffee from the tiny office kitchen and am seated behind my desk by 7:15. Work would have been great if I just had to sit all day and answer calls. But my boss did not have a shiny halo over his head. He barked like a hound and spat out orders and did not rest until he got what he wanted. I am brought back to reality as he slams his briefcase on my desk and beckons me over to his office. I follow him with my eyes downcast. He gives me a list of the things that I have to get done by today. And my jaw drops to the floor when I see it. I rush to the elevator like a chased rat. I get to the storeroom where the records of the sales for the past 60 years are kept and I have to find just one document. And the files are only tagged by year, not even by month. It's actually comparable to finding a needle in a haystack. Besides that I have to assemble all the events of the past week by date, type, venue, and blah blah blah! Not to mention bringing my boss' lunch from a restaurant, which takes at least thirty minutes without traffic. I also have to pick up his laundry, type a hundred page report and wipe the sauce from his desk until it was sparkling clean. I don't expect appreciation, because I know I will be turned back with an empty plate. I have not been offered a promotion or even a raise for the past two years at my job. I return to my apartment after a long ride, freshen up and glance at my reflection. After all the endurance and toil I am still my old self. At the end of this race for success I am still a rat.